As construction of the Rt. Hon. Herb Gray Parkway continues to move forward, Parkway officials have found that Canada Geese and Cackling Geese have been gathering in areas located within the construction area. Canada Geese and Cackling Geese are migratory birds that are protected under the Migratory Birds Convention Act, and in accordance with this legislation and Parkway officials conduct regular monitoring of the construction site. 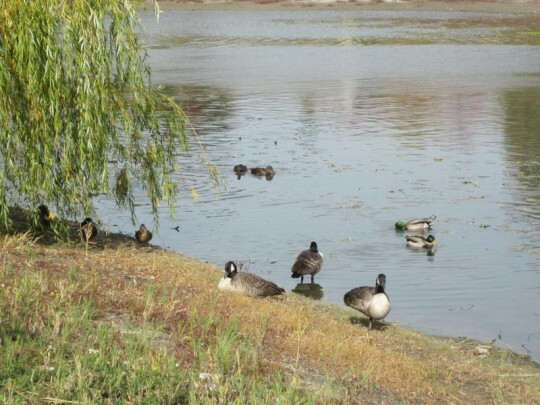 To control the erosion of these areas and feeding on newly placed landscaping seed mix, Parkway Infrastructure Constructors plan to implement a short-term mitigation program to deter flocks of Geese from the construction area. This mitigation program will include the discharge of noise and visual deterrents in specific locations throughout the project area, beginning November 20th, 2013 for approximately two weeks. The devices used will imitate the sound and look of a firecracker and will be let off approximately 1-2 times per day in the morning and before dark. Officials do say that residents adjacent to these areas may see and hear these activities. This program will be undertaken and monitored by trained professionals and will adhere to all Federal laws and Municipal by-laws.